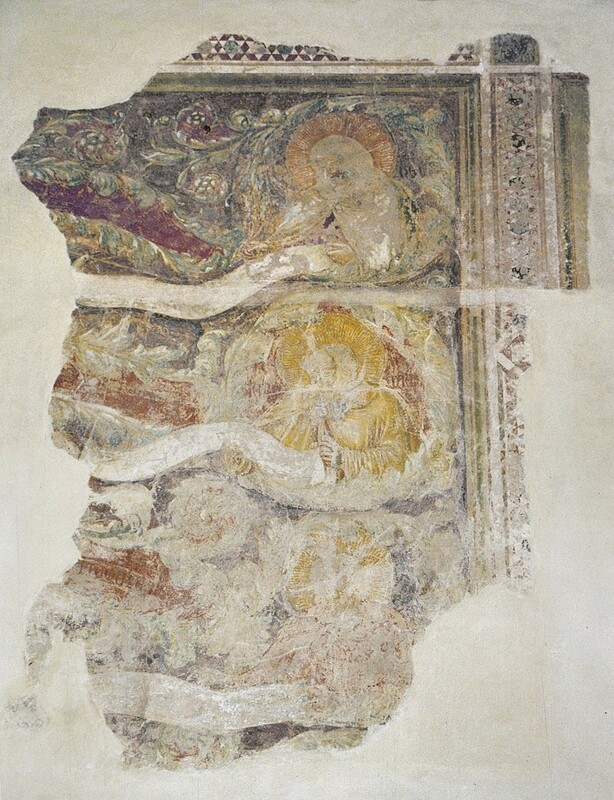 Fresco - 1301-1302 and 1310 ca. There are only a few barely visible fragments left of the decoration present in this room, the parlour, once closely connected with the nearby Chapter Hall. 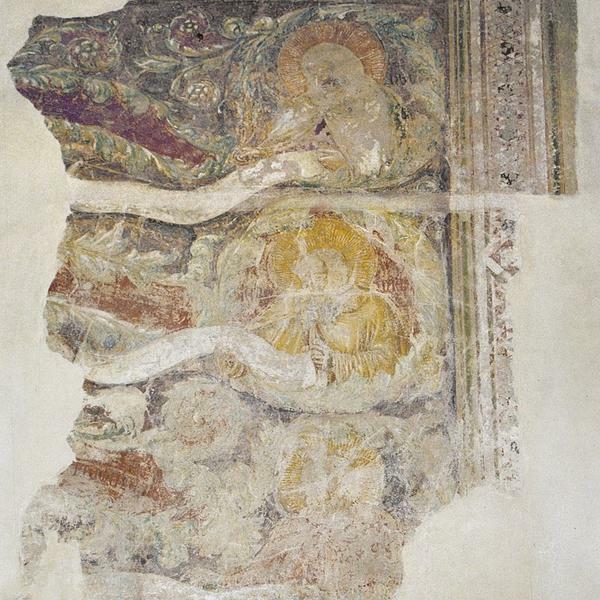 The two preserved fragments are part of an extensive decoration which focuses on mystical Trees. Giotto - 1302-1303 or 1310 ca. Giuliano da Rimini / Pietro from Rimini - 1324 ca.